When Poseidon’s Warrior Lucas escapes a group of rogue shapeshifters, he finds himself driven to help the woman who’d betrayed him. When desperate Rhiannon is forced to do terrible things to protect her child, the man she left behind continues to haunt her dreams. 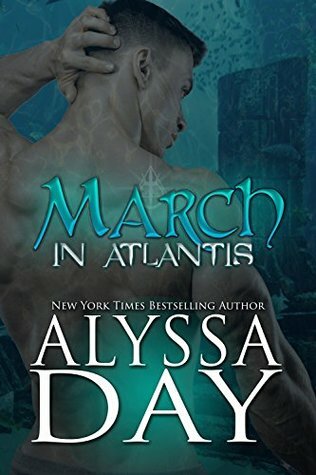 Danger and desire combine in shocking ways in … March in Atlantis. Lucas prided himself on his ability to be calm in all situations, but he’d never been—literally–stabbed in the back by a rogue shifter before. Rhiannon: I’ve never trusted anyone who didn’t betray me…I don’t know how to open my heart. Lucas: My past means nothing if you are my future. My heart, my body, and my soul are yours. 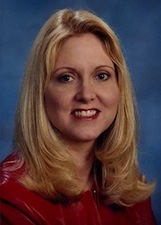 Alyssa’s many awards include Romance Writers of America’s prestigious RITA award for outstanding romance fiction, and the RT Reviewer’s Choice Award for Best Paranormal Romance novel of 2012. She’s a recovering trial lawyer who loves life outside of a courtroom. Her books have been translated into a zillion languages but she’s still holding out for Klingon. You can hang out with her on Facebook (www.facebook.com/AuthorAlyssaDay), Twitter (@alyssa_day), where she talks about her rescue dogs and her future pug ranch, and her blog, where she talks openly about her struggles with depression and hosts Mental Health Check In Fridays (www.alyssaday.com/blog). Text ALYSSADAY to 66866 or stop by her website to sign up for the newsletter and get release day news, behind-the-scenes scoop, win prizes, find out where Alyssa will be making personal appearances, and more! And if you love to talk books, join the DayDreamers!